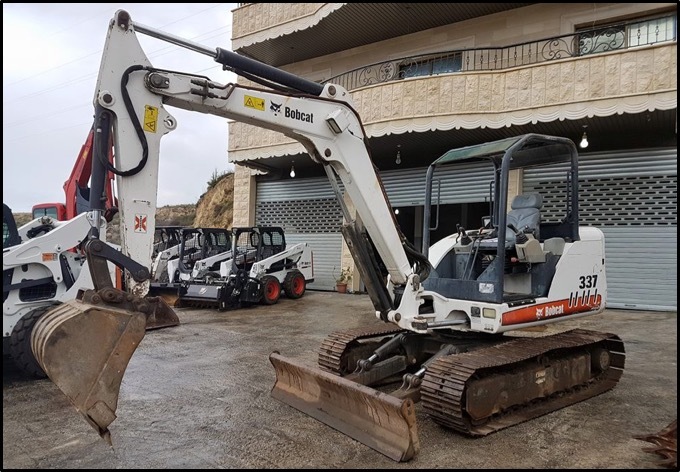 Bobcat 337 mini-excavators often experience this problem with their final drives: leaking oil from behind the sprocket. Of course, this problem isn’t just experienced by Bobcat -- many travel motors and track drives can leak oil there. If your track drive is leaking oil from behind the sprocket, it is usually going to be caused by one of two things: a failed oil seal or a clogged case drain filter. The oil seal is what keeps the gear oil in the planetary hub. Like all seals, the oil seal is eventually going to wear out. As it begins to fail, gear oil will start to leak out. That is bad for two reasons. First, you need to keep sufficient gear oil in the planetary hub, or you'll risk it wearing out way too soon. 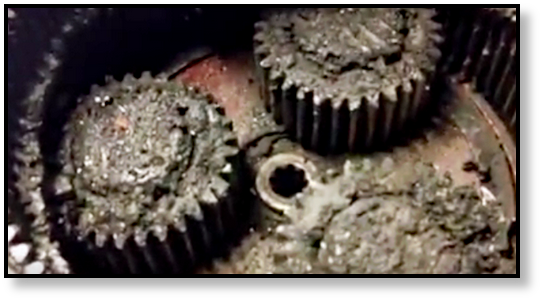 Second, if gear oil can get out, then abrasive contaminants (sand, dirt, etc.) can make their way inside your final drive. Both of these scenarios are very bad for the gears, bearings, and drive shaft in the planetary hub. If this type of leak is left unaddressed, you’ll find yourself with a severely damaged final drive motor. If your final drive motor has a case drain filter, then a clogged case drain filter could be the cause of a leak behind the sprocket. If there is a lot of fluid leaking, then this is most likely the problem. The planetary hub doesn’t have enough gear oil in it to cause a large leak. If hydraulic fluid has gotten into your planetary hub though, you may have a great deal of fluid leak out. In this scenario, the case drain filter gets clogged and causes a buildup of pressure on the hydraulic side of your final drive. As that pressure continues to build, the fluid looks for the path of least resistance -- and can eventually finds the oil seal. If this pressure blows the oil seal, a mixture of hydraulic fluid and gear oil will leak out. 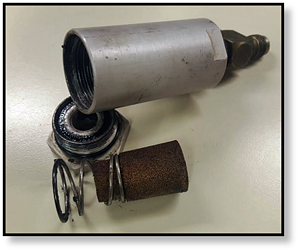 We have seen many otherwise good track drive motors totaled because of a clogged case drain filter. You would be shocked at the amount of damage that a simple filter like this can cause. We encourage our customers to change the case drain filter whenever they replace their final drive because a clogged case drain filter can quickly ruin a brand new final drive, too. 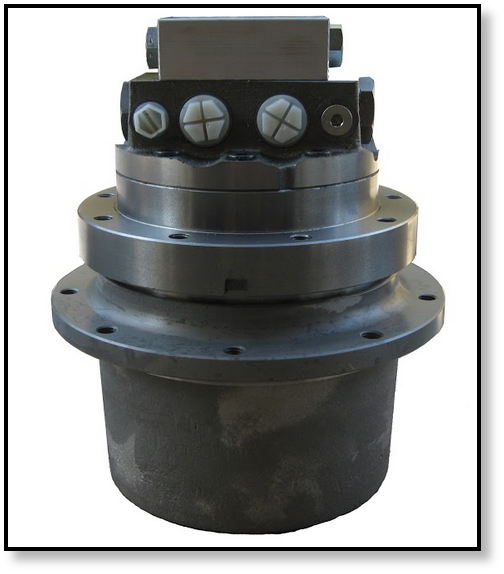 In fact, we ship out a brand new case drain filter with every reman final drive that needs one. The key to dealing with this common problem on a Bobcat 337 is this: do not to ignore it! If you have a leak behind the sprocket, check the case drain filter to be on the safe side. If the case drain filter is clean (or if your drive doesn't have a case drain filter), then the problem is likely an oil seal that needs to be replaced. If it is extremely dirty, you may have a more severe problem on your hands that needs professional evaluation. Never ignore leaks -- they can wipe out your final drive very quickly. The longer you wait to track down the cause of the leak, the more likely you are to be faced with very expensive, time-consuming repairs.